Ever wish you could stop freaking out about the past or the future, and just focus on the beautiful, present moment? That’s just what mindfulness is all about. Mindfulness is defined as, “a mental state achieved by focusing one’s awareness on the present moment, while calmly acknowledging and accepting one’s feelings, thoughts, and bodily sensations.” This technique of bettering your quality of life has recently been exploited by the West, but it stems off meditation, which has been around far before capitalism. The use of mindfulness is quite easy once you’ve got the hang of it, and has different ways to go about it. For example, one might focus on their breath, touching their nose as it moves in and out. Another example could be counting and naming all of the colors around yourself in your head. Mindfulness is just the practice of being in the moment, which is especially helpful for the overly anxious and over planners. Every room or space in the world has either color, sound, smell or your own beating heart to experience. This reality of matter in every space you also exist in, shows that mindfulness can be practiced anywhere you find yourself, and peace can be achieved no matter what. So, why do this rather than an in-depth meditation? Well, first of all, time. A quality meditation takes ten minutes to half an hour to complete soundly (which is very worth the time, but not the easiest to accomplish) while mindfulness can be done anywhere at anytime. Secondly, meditation can be a frustrating task at first, taking many sessions to master, while mindfulness has no real guidelines. Where meditation becomes a practice, mindfulness creates almost instantaneous calm. And now, on to my favorite part: the science! 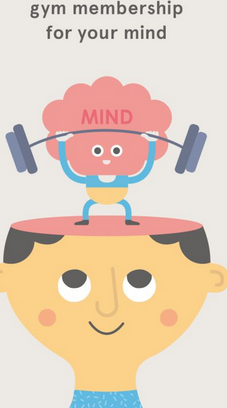 MSBR means Mindfulness Based Stress Reduction, and the facts behind its usefulness are real. During mindfulness practice, activity in the frontal lobe of the brain shifts left, and reflects the “approach state”, which signifies moving toward external problems and their solutions rather than away. This left shift provides a resilience not only to stress inducers but to infection! The movement into the left frontal lobe, if practiced using mindfulness, can decrease your risk of infection and improve the immune system (as claimed by mindfulness.org). All science, opinion and claims aside, the practice of mindfulness meditation has no cons but rather, many pros to test out.